i've been so excited to get to feature this next shop. Sarah is an acquaintance...we have several mutual friends but haven't had the opportunity to meet yet and I've had my eye on her creations for a while now. i was so excited when she agreed to be a part of this celebration! elemedey is a shop that is a tag team effort of two sweet sisters. one is in Texas and one is in Africa. 'elemedey' means 'beauty' among the Didinga tribe in southern Sudan. Through their shop they "together use our passions to create designs that we hope will bring you a piece of 'elemedey' no matter where you are." so cool, right? i love it. in the shop you'll find cool handbags, sweet baby gifts, and pretty pretty hair accessories. this is the headband up for grabs! the headbands are priced at $18 and this is your chance to snag one for free! be sure to head on over to their shop to check out all the other goodies! 1. head on over to elemedey & leave a comment with your favorite item from the shop. loving the medium pleated slouch bag and the classic striped nutmeg clutch. and all those little rosettes... so pretty! oh my goodness, that headband that's the giveaway is by far my favorite thing. i love the color - one of my staples. so i need it! again, i can't pick a favorite item from this shop, because i love everything! the buttons she uses on her hair accessories are so unique! just gorgeous! I love all her bags. Particularly the nutmeg striped clutch. Love the midnight headband. Sooooo pretty! 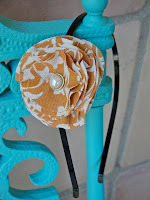 I love the rosette clip-gold and gray damask with pearls. Too cute! I love the Sienna Old World Clutch. i love the olive rosette clip! super cute! tweet comments are boring. but i'm not creative enough to spice them up. I like the delicate cream headband! What a hard choice! they are all beautiful! i like the ivy and peach rosette! i was tempted to say white. because it goes with everything. but i feel the need to branch out and live on the edge! The pleated slouch bag is so cute! Probably my fav... along with paisley rosette headband. I like the natural linen rosette headband. love the Romantic Olive Rosette headband! The natural linen rosette headband is so cute! It's definitely my favorite. Beautiful work! I love the 'Rasberry Chic Rosette Headband' So elegant and one of my fave colors! the Kelly Green Cameo Flower Headband is gorgeous!! 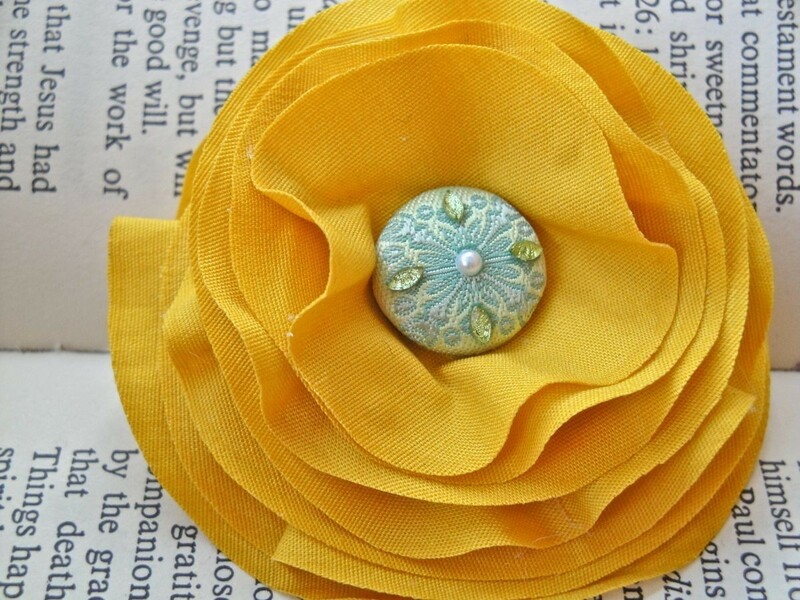 Mustard or Vintage Pearl Rosette Clips all the way!! I couldn't pick just one item so I named two! 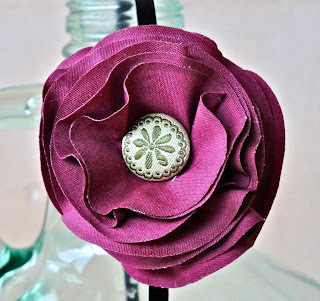 love the plum and fresh green rosette clip! So pretty! Love the Midnight Garden Rosette Headband. love the pumpkin headband and the slouch bags! Gorgeous! 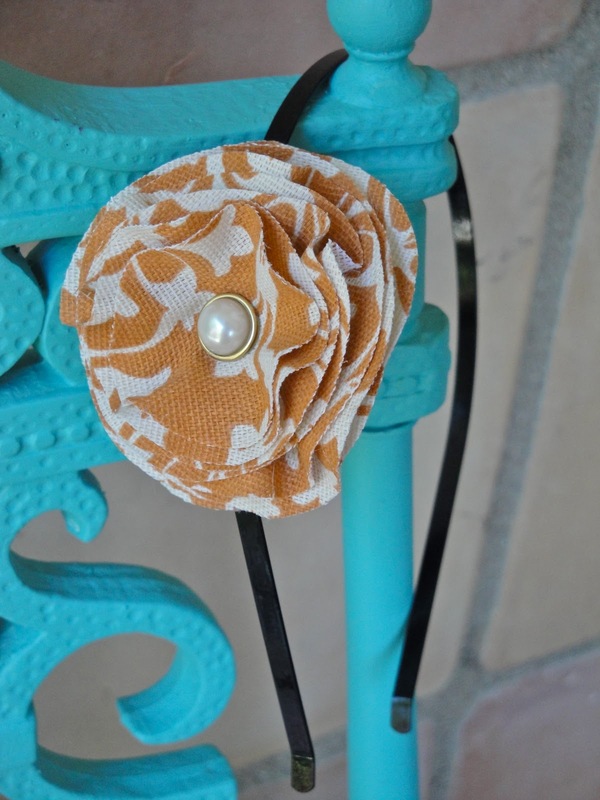 I love the mustard rosette clip. What a cute shop? 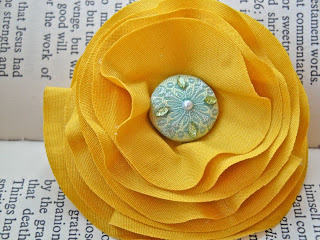 I LOVE the mustard rosette clip...so pretty! love love love the vienna roast hair clip! Twilight Echo Rosette clip! Great fabrics..
Love the raspberry rosette headband! love the fuchsia yo yo rosetta headband. and LOVE the story behind the name of this shop! The plum rosette would be perfect! I LOVE LOVE the delicate cream petal headband! 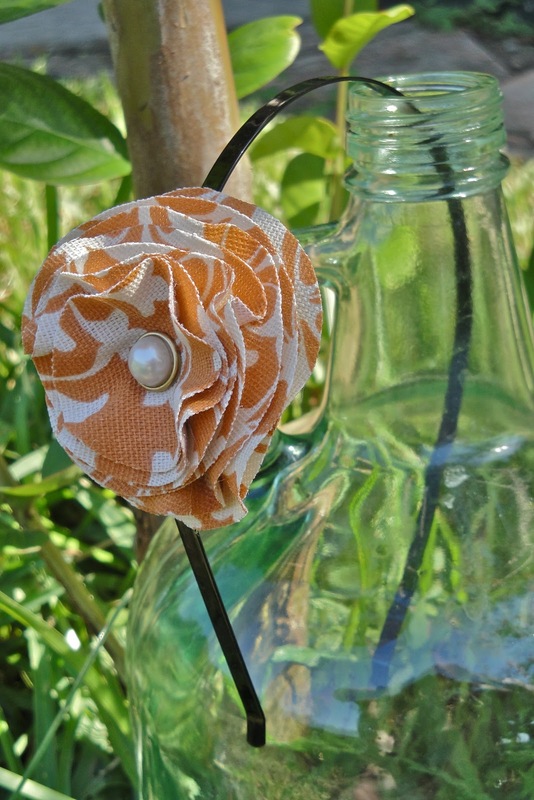 The vintage pearl strip rosette clip is so darling! I must have the Black and White Damask Slouch Bag with Turquoise Interior. yep must. i love the cream headband! I love their designs; so cute! :) I especially like the Medium Pleated Slouch Bag (in Vine of Leaves)! texas and africa- i must say that's quite a killer combo! (coming from a texan living in africa- hehe). lovin' the olive romantic rosette headband. Lovely. The Raspberry Chic headband is just fabulous! sienna old world clutch. mmm. The fresh watermelon clip is so nice. i like the gold and gray damask pin!! i love the cool color of the medium pleated slouch bag-vine of leaves! raspberry chic or raspberry chocolate? cant decide. all so cute. Oh I am totally digging the "Natural Linen Rosette Headband"
oh really love the slouch bags! vintage pearl stripe! SOooo adorable. It's all about the leaf clutch for me! So cute! !